It was a moment that global news organizations were desperate to show their audiences. Yet it was not captured by leading UK broadcasters like BBC, Sky News or Independent Television News (ITN). Founded in 2013, operation is headquartered in Berlin. 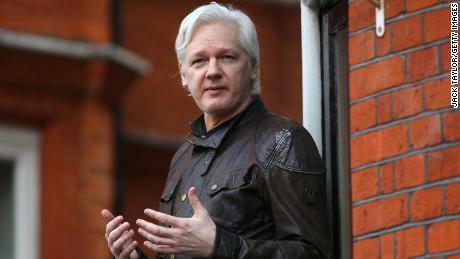 The footage of Assange may be its biggest moment yet. Laura Lucchini, deputy head of news at Ruptly, said the outlet had been shooting video outside the embassy 24/7 since at least April 5 with a rotating crew of five staffers It was even broadcasting a shot of the front door on YouTube. "For the last week, we've been closely monitoring developments on this story while our team of producers worked in shifts," Lucchini said in a statement. "We have seen the pictures of the assemblies, but we have stayed." That effort seems to have been abandoned when the arrest failed to materialize. The BBC, ITN and Sky News did not immediately respond to requests for comment. "We are happy to work with a young, ambitious and committed team who stayed on top of the story when all the other media decided to leave," Lucchini said. 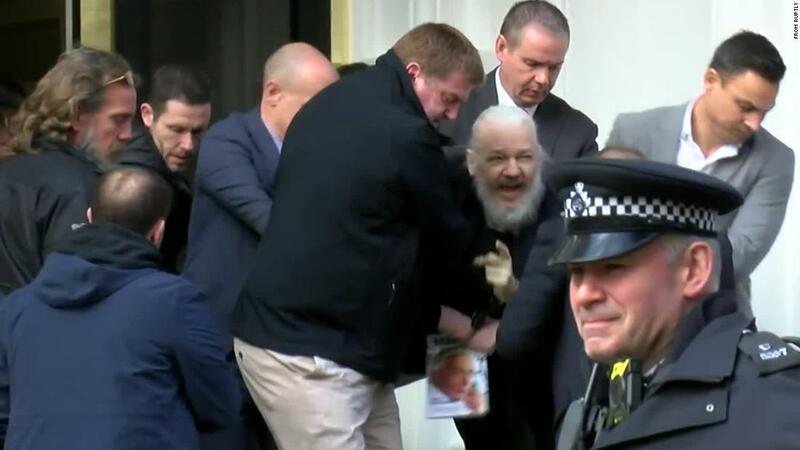 Russia has long expressed support for Assange. Russian minister of foreign affairs spokesperson Maria Zakharova said in a Facebook post after the arrest that "the hand of democracy" squeezes the throat of freedom. But Lucchini said in an email that she does not feel influenced by the Russian government , saying "I would not have taken that position if I did not feel free in my decisions." "We do not know why other camera crews left," she said. "We decided to carry on staying there, because the eviction was expected."